More and more these days schools are having to compete with one another to attract new students. As such it's very important that your website is attractive, engaging and informative. However it's not just prospective parents that take a keen interest in your website. By the time you receive a call notifying you of Ofsted's intention to visit they will already have inspected your website a number of times and checked the information is correct and up to date. It's therefore worthwhile ensuring that your website gives the best possible presentation of school as this is the first impression Ofsted will have. Whereas school may have a day or two to prepare for the inspection, its website has no warning, it will be examined by Ofsted without you even knowing. Ofsted state that they have no official recommendations or guidelines when it comes to school websites, which in some respects is true as Ofsted themselves don't issue guidelines. However they will check that the website meets the current legal regulations and recommendations from the Department for Education. When inspectors look at a high volume of school websites they are bound to develop an expectation of the kind of information they like to see and the way they prefer that information to be presented. It stands to reason that the better impression your website can give, the better any inspection will begin. 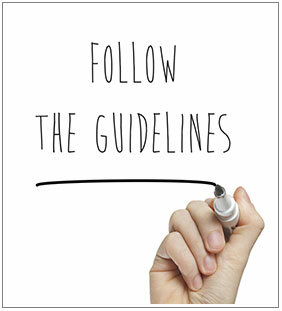 Because Ofsted don't issue guidelines for school websites we use a combination of guidelines from Google's best practices for web design and the DfE regulations. By approaching the design in this way we can ensure that each school website meets all of the legal requirements from the DfE and County, and that information is presented in the most up to date, professional and accessible manner. So far this approach has always yielded fantastic results and praise from amongst headteachers, governors, administrators and parents. 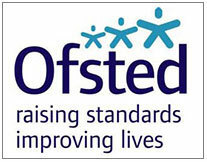 We have even on occasion been praised by Ofsted. One inspector commented during a school visit that the website was the best they had ever seen, both in terms of design and presentation of information. If a website is beautiful, presents all of its information logically, is straightforward to navigate, and is streamlined then this creates a beneficial experience for the user. That's even more important when the user is an Ofsted inspector preparing for a visit. We are also the only web designers in Cumbria to offer schools a fast-track design guarantee. When we include this option it means that if during the design process school requires the website to be live we guarantee to have a skeleton site live within 24 hours (subject to co-operation from CLEO). Depending on the stage of the design process the skeleton site can vary in size. As an absolute minimum we guarantee that the site will meet all of school's legal requirements. At most it could be just a few changes away from being the final version. By including the fast-track design guarantee option it ensures that if during the design process school receive a call from Ofsted, they will have a website live by the time of the visit which protects them from failing their legal obligation. We are presently the only web designers in Cumbria to offer this guarantee.